April 29 & 30 2010 Chicks! NEXT batch set in the 'bator 4/9/10 @ 3:30 pm, set are 12 silkie eggs (6 from a splash and 6 from a blue) and 2 from my favorite Easter Egger, Carmel . 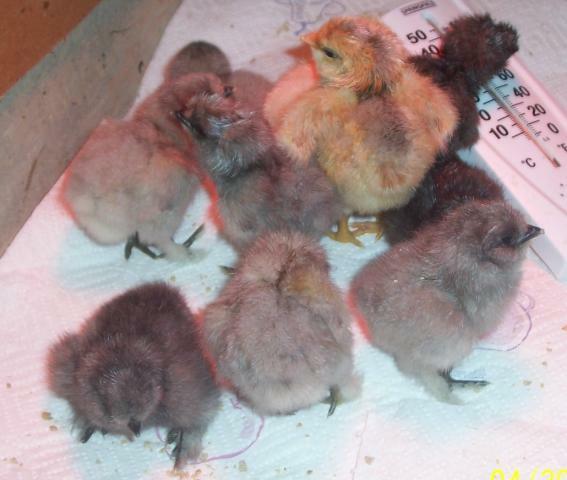 Now the roo daddys could be a Splash Silkie, an EE or a buff Brahma. Then my silly splash silkie went broody so I gave her 2 of the eggs from the 'bator. 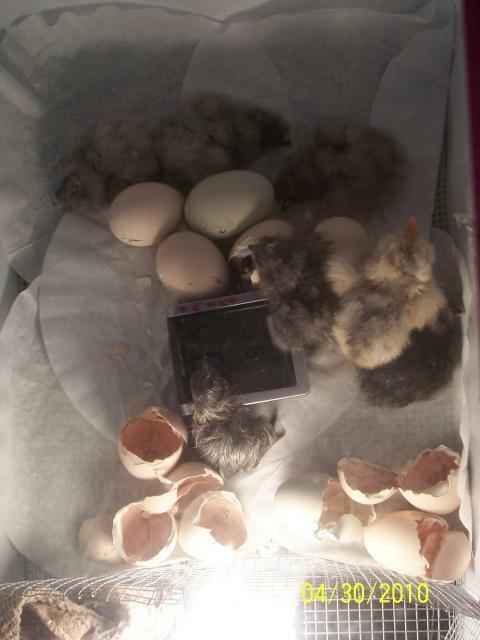 I candled at day 7 and 2 silkie eggs look bad, 1 from each silkie. I plan on candling tonight 4/22 & 4/25 before lockdown Monday afternoon. 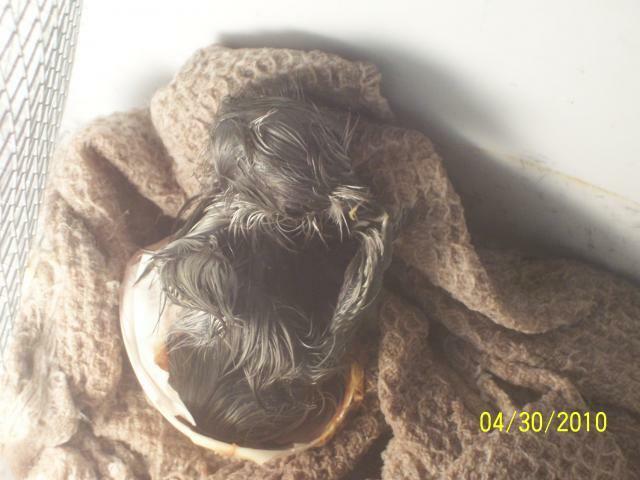 Candled again on 4/22 and threw the 2 silkie eggs far far out in the field (not true, I had to peek in them). 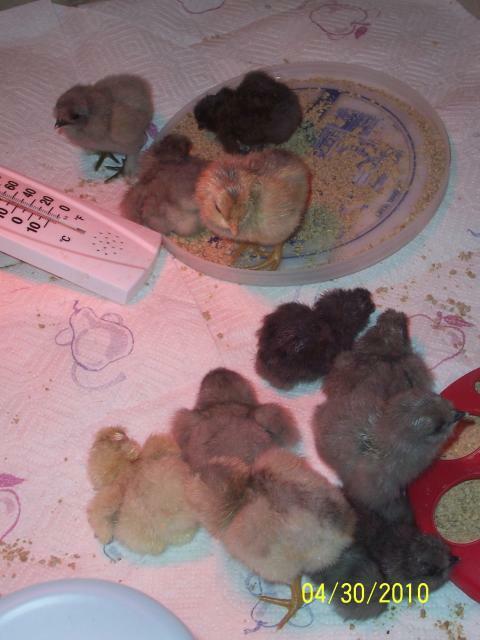 So 12 eggs went into "lock down" (10 silkie and 2 EE) and all hatched on 4/29-30. Some problems we had, 1 of the 2 eggs that I gave to my broody silkie piped, when the pip got bigger she heard the chick peep and she freaked out on the egg, peaking it as hard as she could 3 times. I got both of the eggs out of there as fast as I could and put them in the 'bator. the 1 was bleeding a bit. and the other egg was peeping in the shell but had no pip. after about 24 hours I piped the air sac end of the egg slowly. For some reason it didn't pip on it's own, it was very weak and looked shrink wrapped in the egg. so very slowly and over the next 12 hours I kept piping the egg until the whole top of the egg was off then finally it decided that it was time to get out and it "hatched". the rest all hatched without cause so I'm thinking I may not use a broody again. We'll see! there's always next spring when she's older. 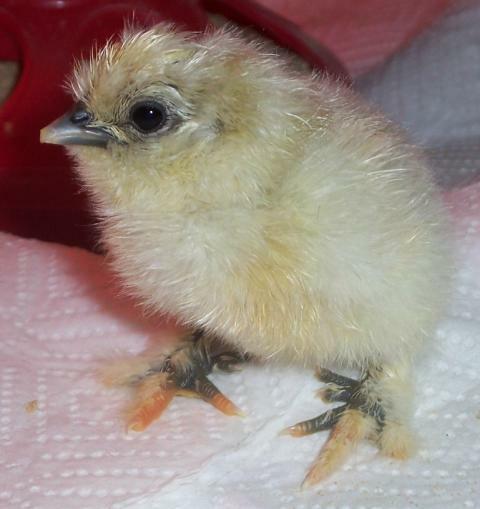 Two-Tone ~ silkie Mama/EE Daddy, Black skin, yellow fluff, 5 toes each foot of different color and feather footed! update 7/13/10 two-tone is silkie feathered! !